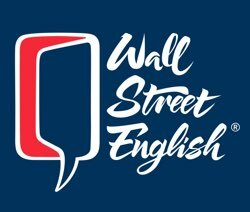 Wall Street English (WSE) is the premier provider of English instruction for individuals and corporate clients around the world. With our unique method & talented teachers, we provide the most effective English language education available for adults. English speaker with passport from the United States, United Kingdom, Ireland, Canada, Australia, New Zealand or South Africa. Age between 23-58 years old. Bachelor's Degree or above in any major. CELTA or 120 hour TEFL/TESOL certificate OR 2 years post-degree English teaching experience, fresh graduates / less experience eligible in most locations. Clean criminal background and health check. Sociable, dynamic, inspiring, energetic, and organized. - Additional salary, monthly housing allowance, flight allowance and sign-on bonus available in select cities. - Generous monthly and year-end bonuses. - Plenty of vacation time and paid national holidays. - Renewal bonus and 2 weeks break between contracts. - 100% of Z visa and work permit costs are covered. - Medical insurance is provided for both out- and in-patient care. - Average classroom size is 1:4. - Adult students + small classes = minimal classroom management. - NO grading and minimal lesson planning - your free-time is yours to enjoy! - Professional growth and promotion, including managerial opportunities. - 40-hour initial Teacher Training provided and regular monthly trainings thereafter . - Mandarin Chinese lessons for beginners. - Private airport pickup and transportation upon arrival. - Teachers are put up in a hotel for up to 10 days fully paid upon arrival. - A staff "buddy" will assist teachers with settling in, housing is not provided, but we'll help you get situated.